Malta is an ideal place to take up residence. Besides its pleasant climate, safe environment and hospitable English-speaking population, it offers a range of benefits to individuals seeking to acquire residence on the island, given its advantageous tax regime and competitive cost of living. Any EU/EEA or third country national who resides in Malta for more than three months requires a permit from the immigration authorities which is granted on specific grounds,some of which are listed below. Ordinary residence in Malta requires individuals to physically live on the island for a period of six months or more. The transfer of one’s residence from a high-tax jurisdiction to a lower tax overseas country is available to both EU/EEA and non-EU/EEA nationals. There is no minimum value property requirement for non-residents seeking to obtain ordinary residence in Malta, unless there is the need for an Acquisition of Immovable Property (AIP) permit, which applies in specific circumstances. The qualifying criteria, which vary according to whether the individual seeking to obtain ordinary residence in Malta is an EU/EEA national or a third country national, can be easily complied with, thus making the attainment of Maltese ordinary residence even more attractive. There are different grounds on which EU/EEA nationals may become ordinarily resident in Malta, including economic self-sufficiency, employment, education and opening a business, the most popular of which are being set out hereunder. Economic Self-Sufficiency: This criterion requires that such individuals show that they are able to provide for themselves and for their accompanying dependants by being financially stable and not being in need of any financial support from the Maltese government. The current thresholds for EU/EEA nationals are set at a minimum capital of € 14,000 or a weekly income of € 84.95 for single persons, and at a capital of at least € 23,300 or a weekly income of € 93.10 for married couples. Employment: A second ground on which EU/EEA nationals may obtain ordinary residence in Malta is employment. Hence, an individual must accept offers of employment or seek employment in Malta, work in Malta as an employee or be self-employed. Alternatively, an individual may opt to set up a business in Malta and work for his / her own business. The qualifying criteria for Maltese ordinary residence in respect of third country nationals vary from those applicable to EU/EEA nationals. We are setting out below a few of these possibilities. Employment: An employment licence is required in order for non-EU/EEA nationals to work in Malta. This is granted upon satisfying certain criteria. Candidates qualified in the financial services and information technology fields are sought after and therefore it may be easier for such individuals to get an employment licence. The holding of a directorship in a company forming part of a project that has been formally approved by Malta Enterprise, and which has been formally notified by the latter to the Employment and Training Corporation. Long-term residence status may be granted to individuals who have been legally residing in Malta for five continuous years. The term “continuous” means that such individuals must not have absented themselves from Malta for more than six consecutive months in any given year of the said five-year period and further must not have been absent from Malta for more than a total of ten months throughout this five year period. Furthermore, a third country national who has been granted long-term residence status by another Member State other than Malta may reside in Malta, for a period exceeding three months, for the exercise of an economic activity in an employed or self-employed capacity, provided that such person is in possession of an employment licence, is pursuing studies or vocational training, or is engaged in other such activities. Individuals staying in Malta for some temporary purpose with no intention of establishing their residence here and who have not resided in Malta for a period longer than six months in a calendar year shall not be taxed in Malta on their foreign income and gains, whether these are remitted to Malta or otherwise. 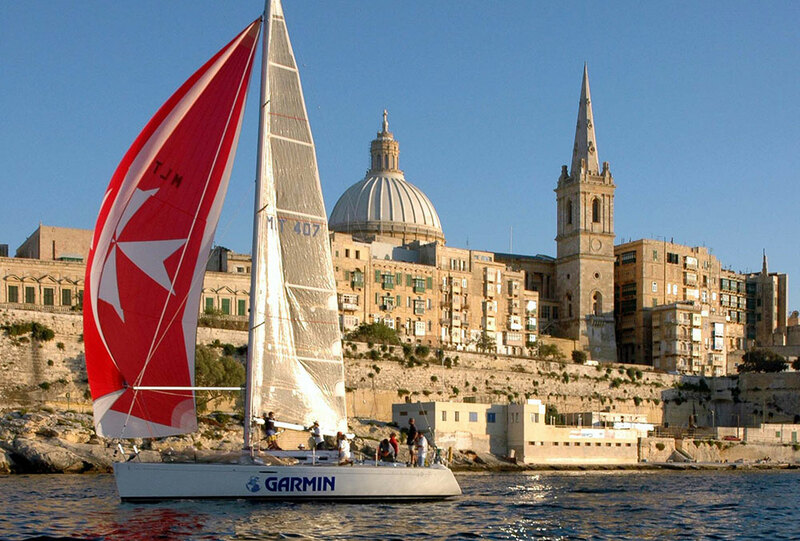 They are liable to tax in Malta solely on Maltese sourced income and capital gains. Temporary residence is granted for the entire period of education to students in any Private School, College, or at the University of Malta. If the student is underage, his or her legal guardian can apply for Malta residence to accompany him or her. Such person has to confirm that he or she is in receipt of stable and regular income and has a suitable place to live. By taking up the Malta Retirement Programme (MRP), beneficiaries will be able to benefit from a tax rate of 15% on any income arising outside Malta which is received in Malta by the beneficiary or dependent, with the possibility to claim relief of double taxation. It is ideal for retirees, or persons reaching retirement age, who are looking at taking up residence in a country that offers them the best in terms of climate, lifestyle, health services and peace of mind, whilst also providing very favourable tax benefits. Introduced in June 2013, the Malta Global Residency Programme allows people who buy or rent a property in Malta and direct their income to Malta to qualify from a residence permit. In order to qualify for residency, under the new Global Residence Programme, one needs to buy a property of €220,000 or over (if the property is in the South of Malta or in Gozo) or of a minimum value of €275,000 for properties in Central and Northern Malta. Foreign nationals who are interested in renting a property, can also do so and they are eligible for Residency given that the annual rental value is of €9,600 (or €800 monthly) in Malta and €8,750 (or €730 monthly) in Gozo or the South of Malta. No bonds or guarantees are required and no minimum stay is applicable. This residency programme is particularly attractive to non-EU nationals. In September 2011, a new residency scheme was introduced by the Maltese government, granting special tax status to high net worth individuals. Referred to as the High Net Worth Individual Residency Scheme, it gives its holders the right to pay tax at a beneficial rate of 15% on foreign income with the possibility to claim double taxation relief, subject to a minimum payment. Malta residents are afforded protection by double taxation agreements, which ensure that tax is never paid twice on the same income in different countries. Malta has an extensive network of double taxation treaties and where there is no double taxation treaty, another form of relief from double taxation available under domestic law, namely unilateral relief, largely achieves the same outcome. No death tax or duty is payable in Malta. However, duty on documents and transfers is payable by the heirs of the deceased or the purchaser on real estate situated in Malta, and upon the purchase of shares in Malta companies. However, no such duty is payable on share transfers effected by shareholders in or by trading companies which have business interests to the extent of more than ninety per cent outside Malta. Likewise, an exemption from duty on share transfers in holding companies exists where more than half of the ordinary share capital, voting rights and rights to profits are held by persons who are not resident in Malta. Subject to certain exceptions, duty is due at the rate of 5% in the case of real estate, and 2% in the case of shares. Malta became part of the Schengen Zone in 2007. Non-EU citizens may obtain the Uniform Residence Permit, issued on the basis of one being a permanent resident. In this case, it grants its holder the possibility to travel throughout the Schengen Zone without the requirement of a visa for at least three months. In order to apply for the Uniform Residency Permit, the applicant must have a place of residence in Malta. For tax purposes an individual is normally regarded as being resident in Malta for a particular year if, in that year, his stay in Malta exceeds 183 days. As already noted, however, foreigners residing in Malta are not taxed on their worldwide income, but only on Maltese source income and capital gains and on foreign source income remitted to Malta. Foreign source capital gains are not taxed even if remitted to Malta. The applicable income tax rates are, however, the normal rates of income tax applicable to residents, which are as follows.